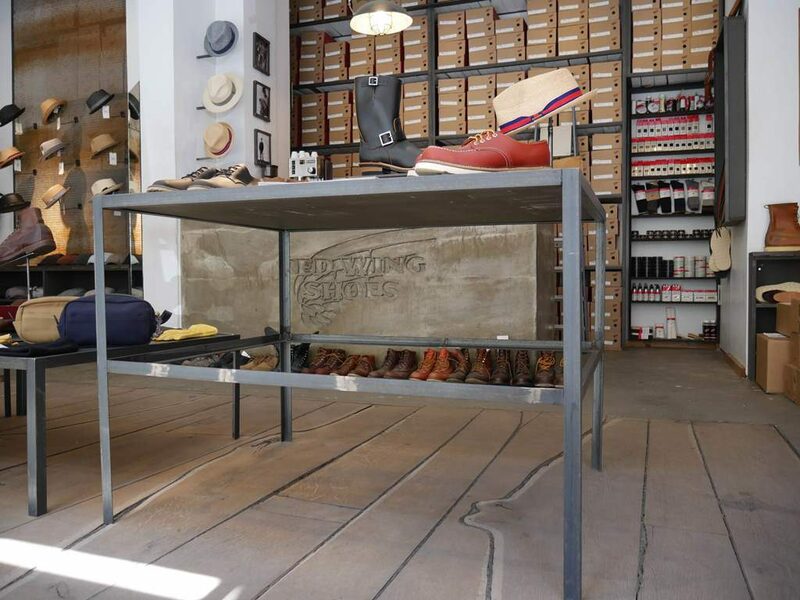 In previous articles you could already read the tales from the Red Wing Shoes Vienna store and Red Wing Shoes Frankfurt. 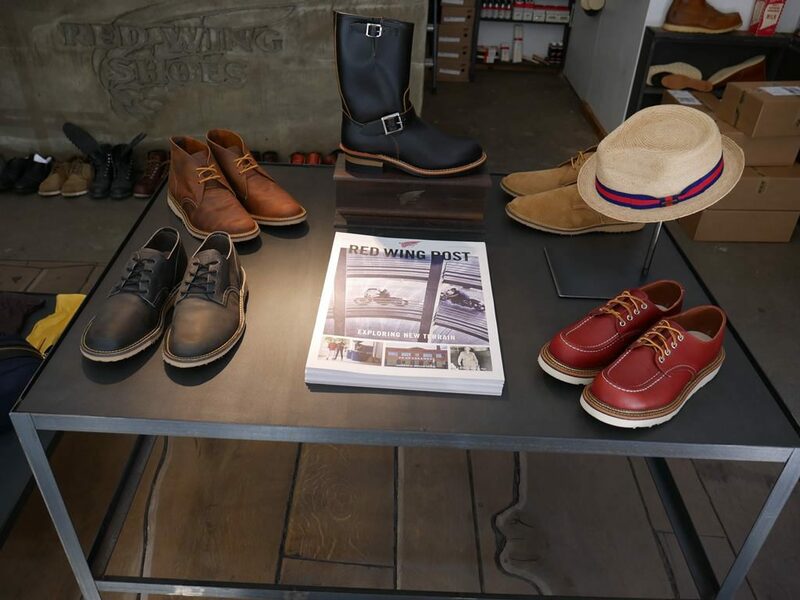 Today the tales from the Berlin store will be re-published from the printed Red Wing Shoes Post which came out in 2015. 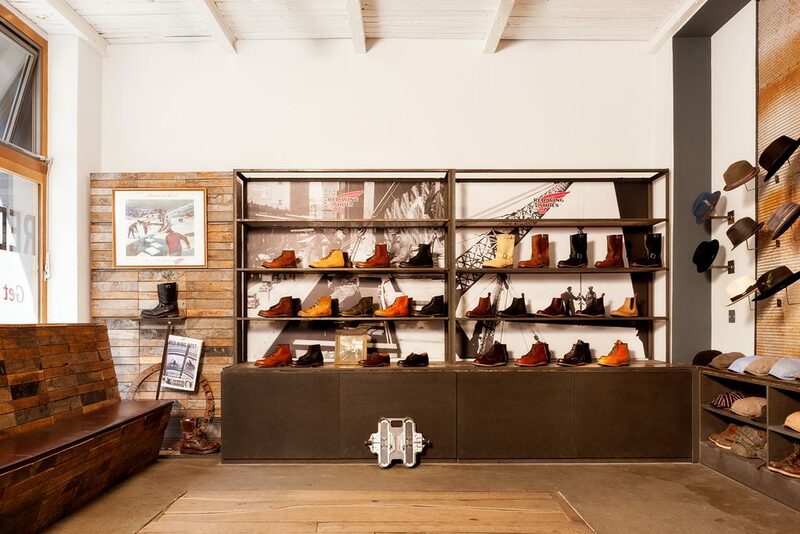 Today the tales from Mick, Red Wing Shoes Berlin store. 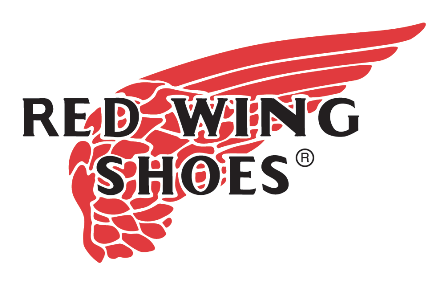 A new pair of Red Wings is like a blank sheet of paper. But the longer you wear your shoes, the more this sheet becomes a chronicle of past events. Scratches, spots, and stains tell of manifold experiences and, as time moves on, a simple pair of shoes will come to tell the story of your life. 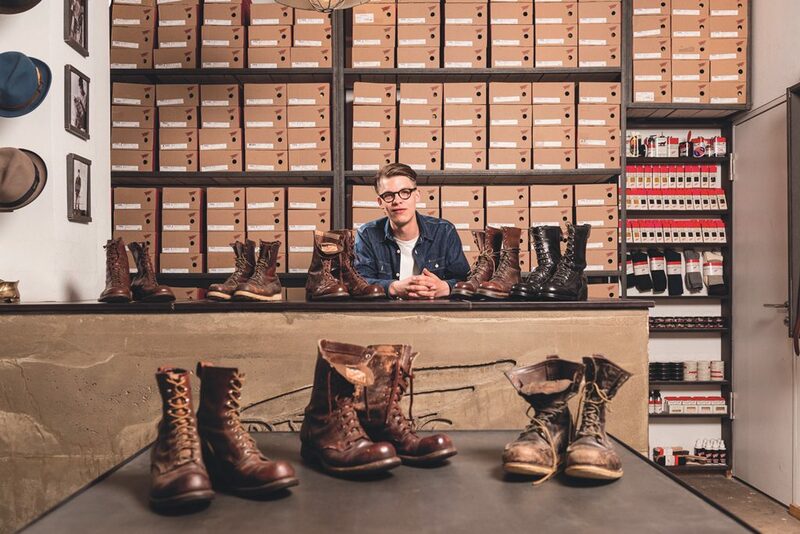 At Red Wing Shoe Store Berlin, we are the proud owners of the largest vintage Red Wing collection in Europe. 300 pairs from the 1930s up to the 2000s. Aviator boots from the 30’s, hunting boots from the 50’s, gentleman’s boots from the 60’s. These boots have walked through countless countries. They have been to the tops of mountains, the shores of oceans, and the major cities in the world. 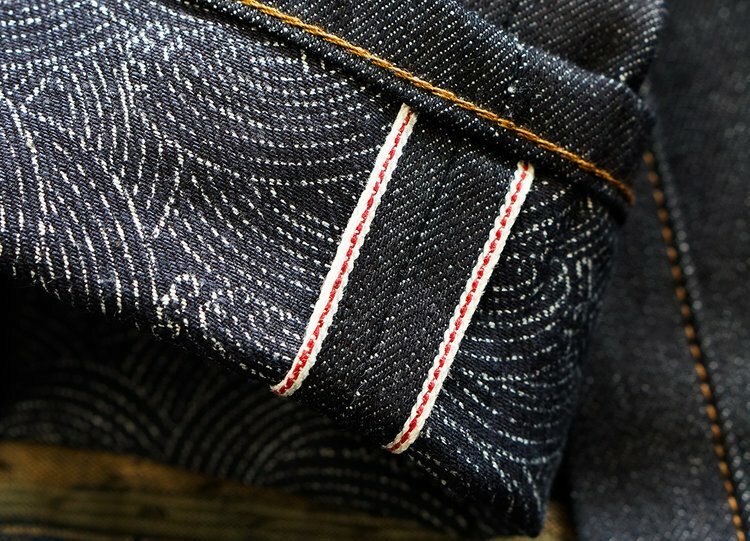 Weathered and beaten, all of them have acquired a unique character, and if they could talk, each pair would have one hell of a story to tell. Even though there is a very active trade in worn-in boots, we don’t sell any of them, but challenge our customers to start wearing in their own boot, which will have a story of its own to tell soon enough. After all, those pairs will be the most precious in the end. Our most special pieces are probably the ‘Skytrooper’ Jump Boots. 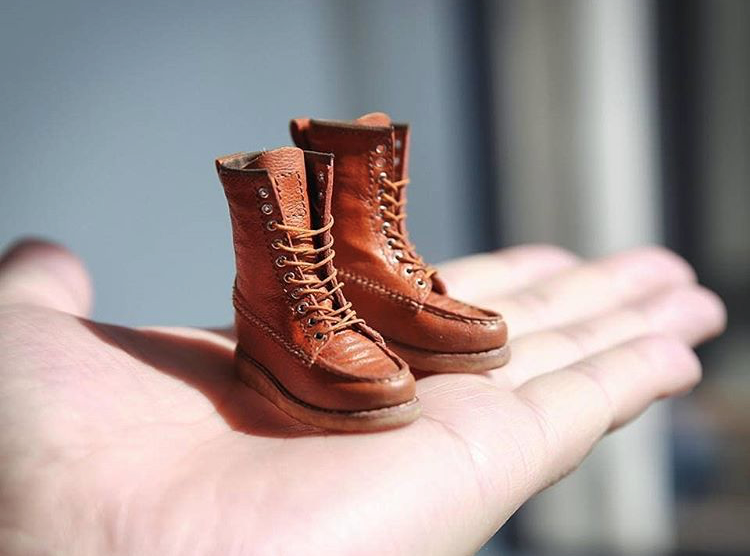 These myth-enshrouded, very rare shoes were produced by Red Wing Shoe Company from the early 40’s to 50’s and served as footgear for American Paratroopers during WWII. Soldiers wearing these boots were dropped from the sky and had to work their way through any kind of terrain or situation. It is impossible to track single story lines some 70 years later, but it is safe to say that both, wearers and shoes, went through experiences we cannot even imagine today. These pairs are no longer blank sheets, but completed books. They tell more than an individual story; these boots have become part of history. 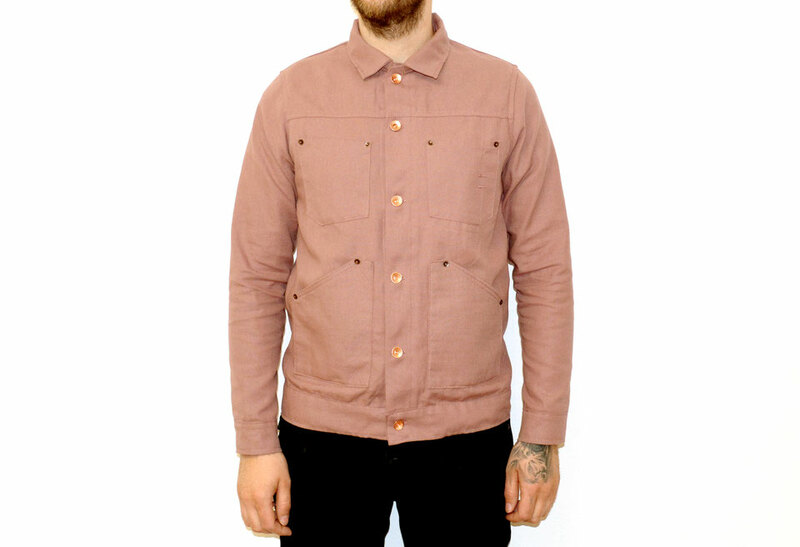 Follow the store also on Instagram: @redwingberlinhamburgmunich.